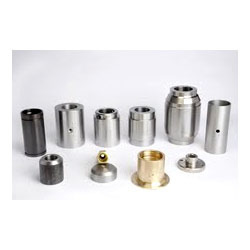 We are engaged in offering a wide range of supreme quality Soft Bushes to the esteemed clients. These soft bushes are manufactured using high-grade steel, which is procured from some of the most trusted vendors of the industry. Moreover, these soft bushes are highly demanded by the clients for their effective usage in earth moving equipment, automobile industries and others. Looking for Soft Bushes ?